Jscott Productions, MFA Fashion Merchandising student Juanita Scott’s company, presents the Beauty of Life Charity Fashion Show on Friday, October 8th at 6:00 PM. 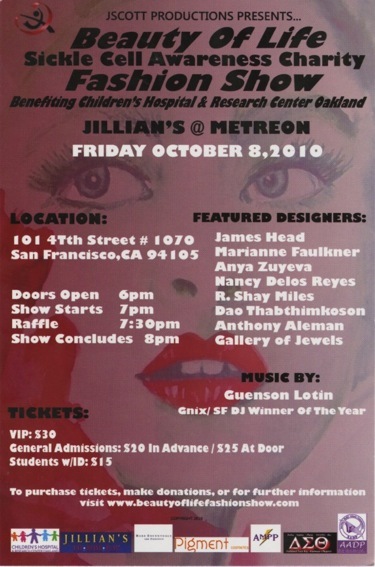 The event will benefit the Children’s Hospital of Oakland Sickle Cell Disease Center. 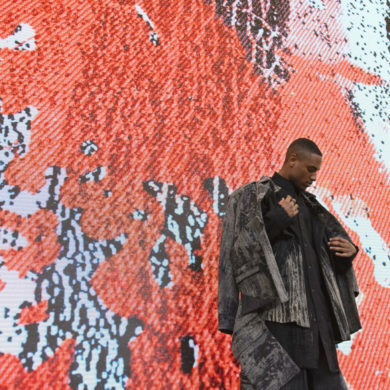 Featured designers include Dao Thabthimkoson and Nancy de los Reyes, both 2009 BFA Fashion Design alumnae, as well as James Head, Marianne Faulkner, Anya Zuyeva, R. Shay Miles, Anthony Aleman and Gallery of Jewels. Student tickets are $15 with student ID. To purchase tickets and for further information visit www.beautyoflifefashionshow.com.